Elementary Sports are a great way for your child to participate in an after school activity that promotes healthy competition in a safe environment. The Master’s Academy offers the following team sports for the elementary school age level: Basketball (boys), Basketball (girls), Flag football (boys), Soccer (boys), Soccer (girls), Track and Field, and Volleyball (girls). Middle School Sports are a great way for your child to participate in an after school activity that promotes healthy competition in a safe environment. 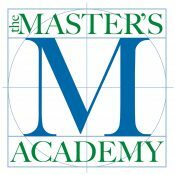 The Master’s Academy offers the following team sports for the middle school age level: Basketball (boys), Basketball (girls), Flag football (boys), Soccer (boys), Soccer (girls), Track and Field, and Volleyball (girls). CATA Martial Arts offers an After-School program based on helping kids improve their physical skill set, leadership ability, and self-confidence through learning martial arts. Your child can enjoy their time after school learning and playing with children with similar interests as them!